So it's nearly February, and we'd like to bet that you haven't started ticking off those health and exercise resolutions you made in the fresh and heady hours of New Year's morning? We can all use a friendly little nudge, and some expert help, in the health and exercise department, and because we're just cool like that, we've taken it upon ourselves to hunt down the most efficient way to get the most results from your exercise sessions. Well, we've found a total winner of a personalised training session (and it's right here in Newstead!). 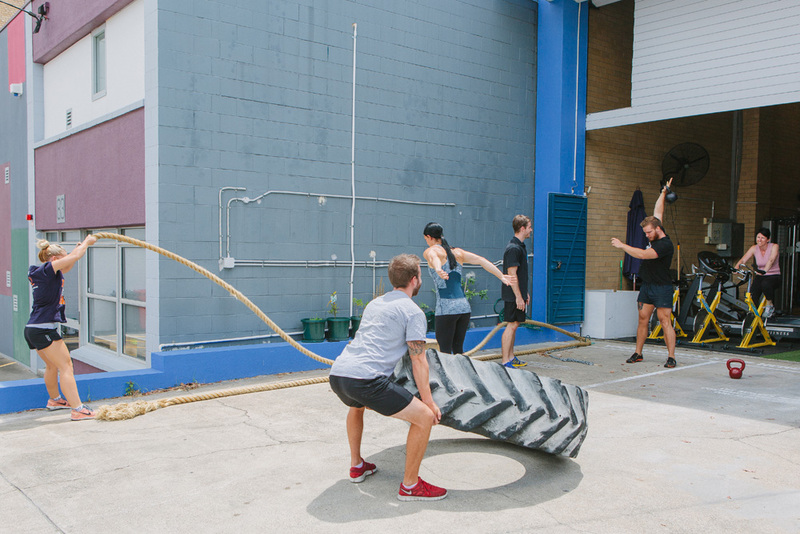 The Results Room, a health, exercise and performance centre that's about more than just the pumping iron-style work out—it's the place to go if you want a seriously personal approach to your training. 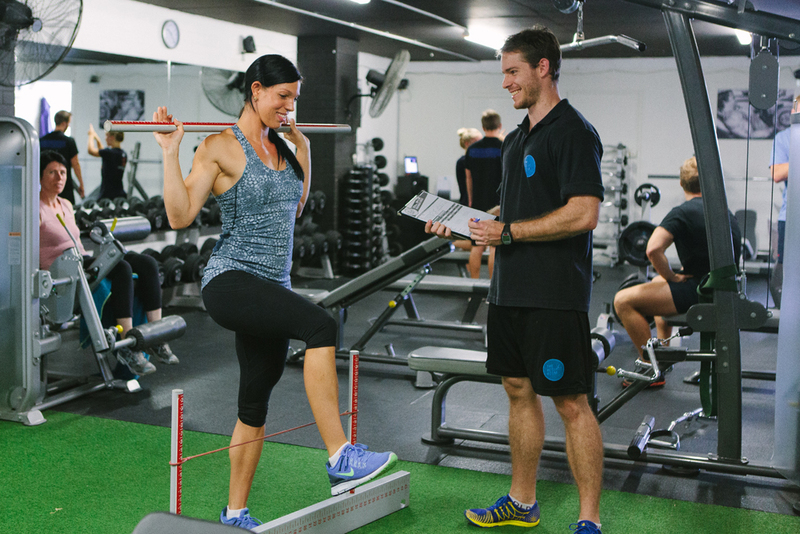 Not only do they have great tailored packages with a personalised assessment program before you even get close to a dumbbell, but they are also about to launch an 8-week body transformation challenge (kicking off from the 3rd of February, with registration closing on the 1st of February). And, if you take part in this awesome challenge, you also go in the draw to win a share in a $3000 prize pot. Fulfilling your health and exercise resolutions, and cool prizes? That's winning! In the name of research and all that is fit, I put my own body fat on the line to road test their assessment process for you. After making my way from the TUL offices—and avoiding the alluring smells from Newstead Brewing Co. [stay focused, Desta]—I meet with my friendly trainer Dan Sutherland (also The Results Room's passionate owner) to discuss and identify my motivations, goals and my current level of fitness and abilities. Dan then chats with me further about my goals [model-esque body? ], the barriers to achieving those goals [too many wings, beer and chocolate], nutrition [not great, if I'm being honest], injuries, and a workable schedule. I'm back and this time we will focus on primary movement patterns; things like the squat, hinge, and push and pull, which Dan says have to be perfected before using resistance (like weights) to make sure I'm getting the most out of the plan. The trainers then meet and discuss my assessment to plan the program and nutrition requirements before producing a comprehensive report that I get to take home to keep me on track for my first month! I've progressed through the Phase 1 training [I own those squats and hinges] so we get on to Phase 2, which has been specifically designed for me and the results I would like to see [long lean muscle and a strong core]. Every 4 weeks, I'll be reassessed and my program and nutrition will be updated to keep me on target. Miranda Kerr-body, here I come! TUL Note: Today's List Love post is proudly sponsored by The Results Room and endorsed by The Urban List. Our sponsored posts will never be a secret - the List Love seal will be stamped on any sponsored material you see on the site. Thank you for supporting the sponsors who make The Urban List possible.